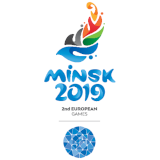 Former EYOF Athletes bring home the silver! 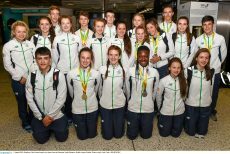 Congratulations to the Irish athletes who won Silver medals at the recent IAAF World U20 Athletics Championships in Tampere, Finland. 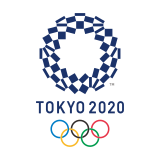 The Irish women’s 4x100m relay team who set a new national U20 record of 43.90 seconds was comprised of former European Youth Olympic Festival athletes; Molly Scott, Gina Akpe-Moses, Ciara Neville and Patience Jumbo-Gula. The team had looked good for a gold medal at the 2015 EYOF in Tbilisi, Georgia only to be denied by a very unfortunate injury mid-race. It is great to see their continued hard work and practice has paid off handsomely. Also bringing home the silverware is another veteran of Tbilisi ’15, Sommer Lecky. The Finn Valley athlete also set a new national U20 record (190cm) in the Women’s High Jump. Well done to the girls and we look forward to following their sporting careers well into the future.